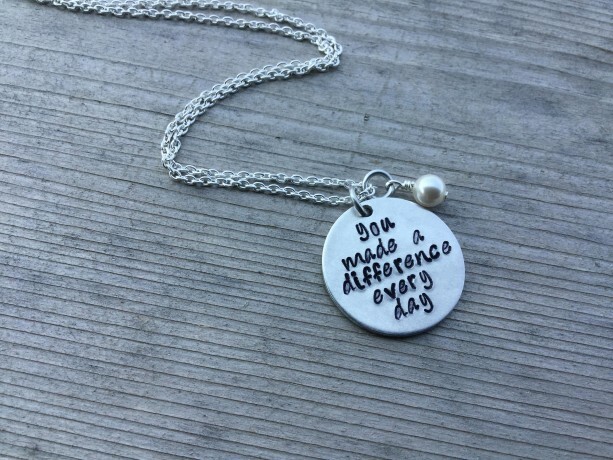 This is the perfect give to tell someone how much of a difference they have made...ideal as a teacher gift, preschool teacher, daycare provider, mentor, best friend, parent, etc. 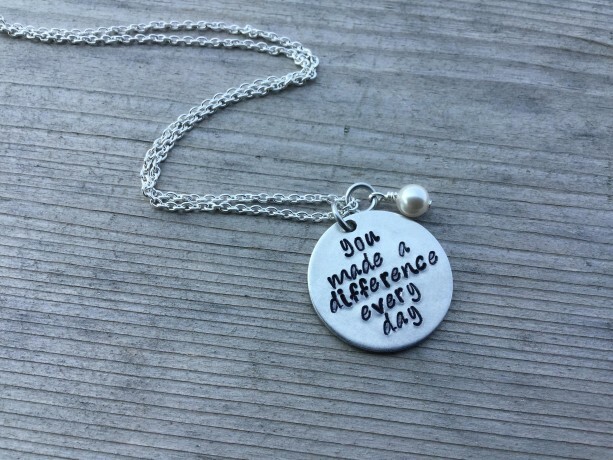 This 1 inch brushed aluminum pendant says, "you made a difference every day". 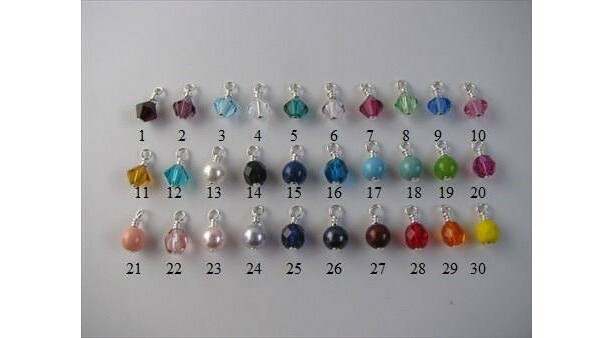 1 accent bead in your choice of colors, is included to add a little pop of color….choose a birthstone, or choose a favorite color. 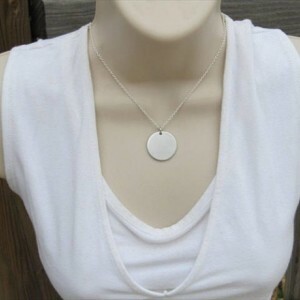 The 1 inch aluminum pendant has a lovely brushed finish and is strung on your choice of chain. 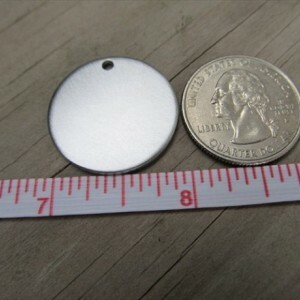 ◆ ◆ ◆ NOTE: I can not stamp anything on a back of a pendant or charm because it can show through onto the front. ◆ ◆ ◆ •••••••••••••••••••••••••••••••••••••••••••••••••••••••••••••••••••••••••••••••••••••••••••••• CHAIN OPTIONS: Option 1: Sterling Silver Chain - 18 inches Option 2: Stainless Steel Chain- 18 inches •••••••••••••••••••••••••••••••••••••••••••••••••••••••••••••••••••••••••••••••••••••••••••••• BEAD OPTIONS: Option 1: January- Garnet Option 2: February- Amethyst Option 3: March- Aquamarine Option 4: April- Crystal Clear Option 5: May- Emerald Option 6: June- Light Amethyst Option 7: July- Ruby Option 8: August-Peridot Option 9: September-Sapphire Option 10:October- Rose Option 11: November- Topaz Option 12: December- Blue Zircon Option 13: Pearl Option 14: Black Faceted Round Glass Option 15: Pearl- Dark Blue Option 16: Dark Aqua Faceted Round Glass Option 17: Pearl -Turquoise Option 18: Pearl- Mint/Jade Option 19: Lime Green Round Glass- Opaque Option 20: Fuchsia Faceted Round Glass Option 21: Pearl- Coral Option 22: Pink Faceted Round Glass Option 23: Pearl- Pale Pink Option 24: Pearl- Pale Lavender Option 25: Purple Faceted Round Glass Option 26: Pearl- Dark Purple Option 27: Pearl- Maroon Option 28: Red Faceted Round Glass Option 29: Orange Faceted Round Glass Option 30: Yellow Faceted Round Glass- Opaque •••••••••••••••••••••••••••••••••••••••••••••••••••••••••••••••••••••••••••••••••••••••••••••• Each piece is made by hand, with every letter individually stamped, and may have variations in spacing, and placement, etc. from the photo making them that much more unique and special. •••••••••••••••••••••••••••••••••••••••••••••••••••••••••••••••••••••••••••••••••••••••••••••• READ BELOW FOR ANSWERS TO COMMONLY ASKED QUESTIONS: ◆Q: Can you stamp something on the back of the pendant? A: Sorry, but I can only stamp on one side of a pendant...otherwise I've found that the stamping runs the risk of showing through onto the front. Sorry about that. Q: Can I include a note in the package so that I can send it directly as a gift? A: Absolutely, it's no problem at all to include a short note for you in the package. Just type me a quick note during checkout of what you want the note to say. Q: If I place an order today, how soon will my order ship? A: Always check the shop announcement at the top of my main page to see the current turn around times. 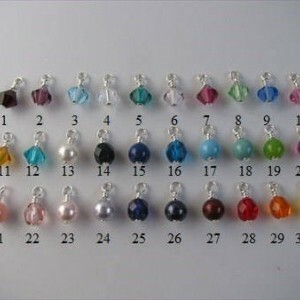 Q:What size is the pendant? 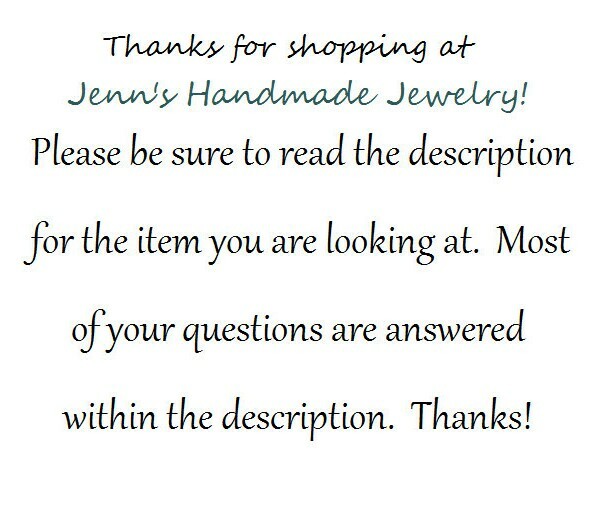 A: Check the sizing in the description of each piece of jewelry. Also, click on the arrows on the photos to see additional photos. 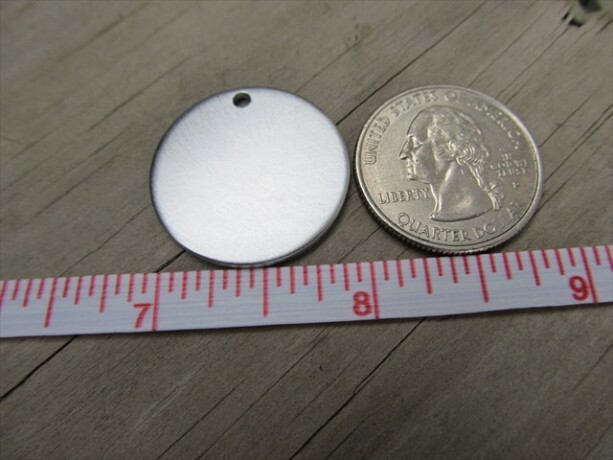 Q: What are the hand-stamped pendants made out of? 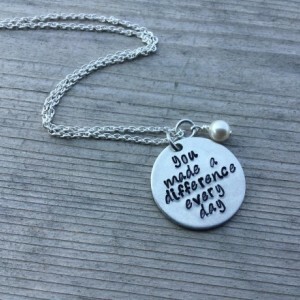 A: My hand-stamped, quote pieces are made using brushed aluminum. 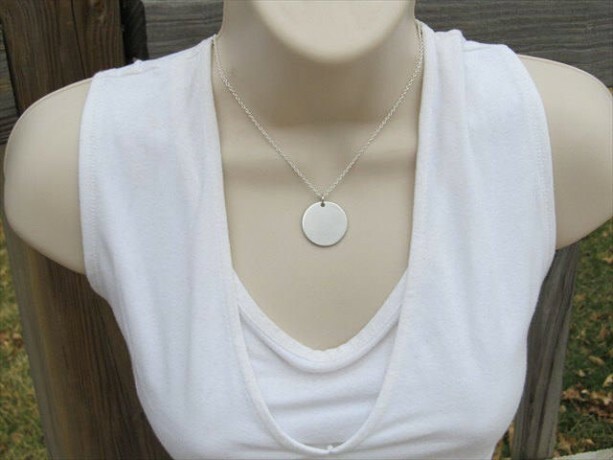 Aluminum is very hypoallergenic and those that are even allergic to sterling silver and other metals can usually wear aluminum without any problems. 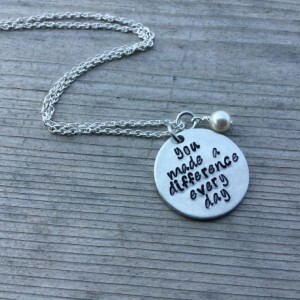 Q: Can you make a custom necklace/custom quote for me? 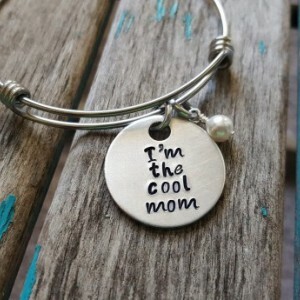 A: I love custom orders! Message me and let me know what you had in mind and I will see if it's something I can design for you. 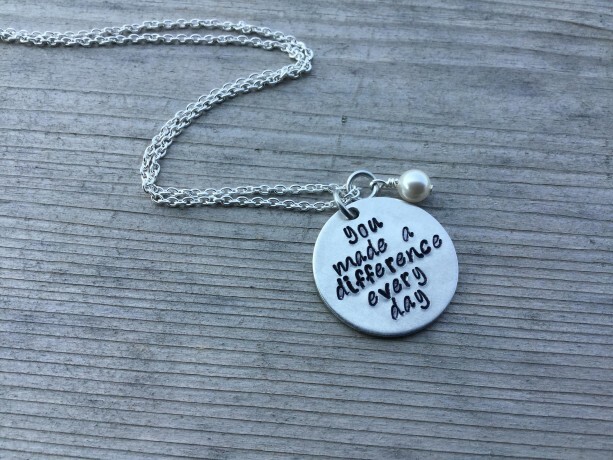 :) •••••••••••••••••••••••••••••••••••••••••••••••••••••••••••••••••••••••••••••••••••••••••••••• If you are interested in a different size on a piece of jewelry, or an alteration to a quote, contact me BEFORE you purchase to see if that's a possibility. Thanks! :) If you are looking for some style/color in particular and aren't finding it...contact me and I will see if I can make what you are looking for. 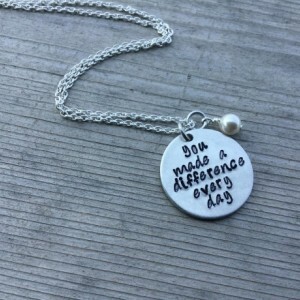 :) To stay up to date with all of the new jewelry from Jenn’s Handmade Jewelry, be sure to mark my site as one of your favorites and come back often. Thanks so much for shopping with me! Come back soon! 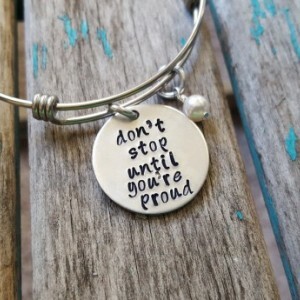 :-) All photos and designs are the property of Jenn’s Handmade Jewelry.